David Lawrence Editions is a publisher of fine art prints and multiples. The gallery was located in the Historic Writers and Artists Building for over twenty three years. 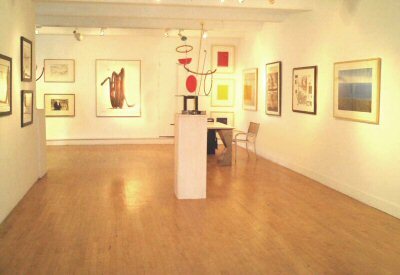 The gallery shows contemporary and modern prints along with contemporary paintings, drawings, sculpture, and photography. The gallery is open by appointment. The gallery is an active buyer of fine art prints, drawings and paintings. ATT/Yahoo during the month of December 2013 crashed our email and website of over ten years. Please use our new gmail email address of "thedlgla@gmail.com" for all gallery correspondence. We are still working on a new host for our website.